Founded in 1930, American Airlines (formerly known as American Airways) is the biggest airlines in travel volume and has the largest aircraft fleet in the world and is the second airlines in business turnover after Air France-KLM. 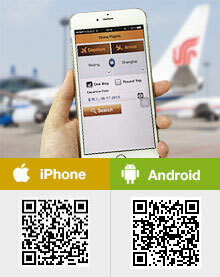 It was developed from the integration of 82 smaller airlines. In 1982, it became the first subsidiary corporation of AMR Corp. It is one of the original members of "Oneworld" alliance. Its flights cover the whole land of America, and many cities in Canada, Latin America, Western Europe, China, Japan and India. Up to May 2008, American Airlines has 49 Boeing 777-200ER, 58 Boeing 767-300ER, 16 Boeing 767-200ER, 125 Boeing 757-200, 77 Boeing 737-800, 243 MD-82, 58 MD-83, and 31 A300-600R. 1930 American Airways founded by combining subsidiary companies of Aviation Corporation. 1934 American Airways' name was changed to American Airlines. 1970 Routes to the Caribbean were opened in cooperation with TransCaribbean Airlines. 1975 Additional routes were purchased from Pan American Airlines. 1981 Started to practice the Mileage Plan "AAdvantage"
What plane type A/A flight 832 on May 25? what type of aircraft will be used for AA 1924 on 28 January? However, we are TravelChinaGuide instead of American Airlines. For the detailed equipment, we suggest you to contact the airlines directly for accurate information. Hope for your kind understanding. What kind of in flight meals and refreshments can i expect on my long haul flight from UK to Las Vegas? According to American Airlines, complimentary meal service is provided in the Main Cabin on Europe, Japan and Haiti flights that depart within traditional breakfast, lunch and dinner meal windows. On flights where only beverages are served, they invite you to visit any of the airport concessions and bring food and beverage purchases on board.